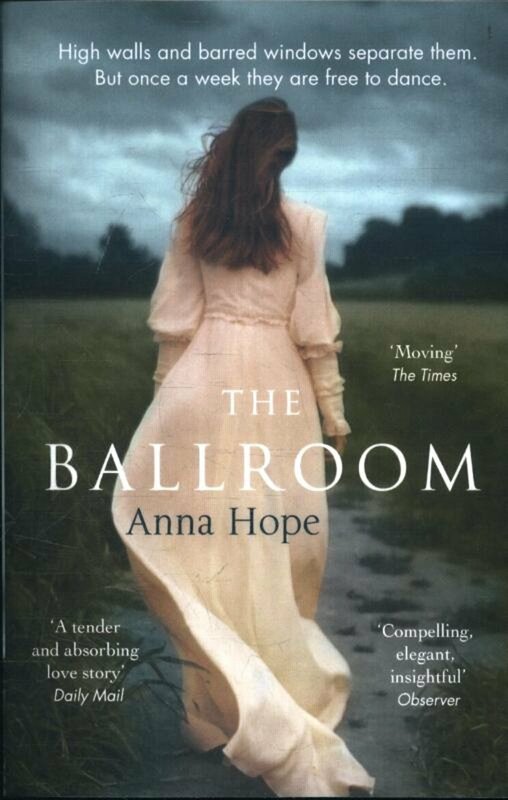 The Ballroom is Anna Hope’s second novel from Doubleday, my review of her debut, Wake, can be found here. 1911: After accidentally breaking a window and running from the factory she worked at, Ella is taken against her will to Sharston Asylum. Unsure of where she is, alone and scared she sees a small chance of escape. She grabs it and runs from the asylum and across the surrounding fields as fast as she possibly can but that isn’t fast enough. As she runs, she’s spotted by a couple of male patients who are working on the surrounding land. John’s heart beats faster as he watches the wild women run with all her might, admiring her attempt at freedom but when the girl sees them she panics and falls heavily. He tries to help her up but the guards are upon her. Later John is forced to attend the asylum’s ballroom dance, a treatment deemed necessary by his doctor. John begrudgingly attends, lingering at the back and avoiding the dance…until he sees the running girl. Anna Hope’s tender romance of love against the odds is made brilliant by the superb setting and misguided ‘baddie.’ The doctor that oversees the patients starts as a forward-thinking young man on a mission to heal and slowly degenerates into a confused and bitter individual who mistakes his own revenge for progress. Although John and Ella are the main characters, it’s Doctor Fuller that really grabbed my attention. The romance is given depth by the Victorian darkness that runs through the novel, the arcane treatments and lack of ethics that make the era morbidly fascinating. The Ballroom sweeps from beautiful romance to lip-biting tension and back again, making it an absorbing read from beginning to end. This has only just hit bookshelves but after this and Wake, I’m already excited to see what Anna Hope does next. I loved this book and it had tempted me to try Wake. I have only read good things about it.